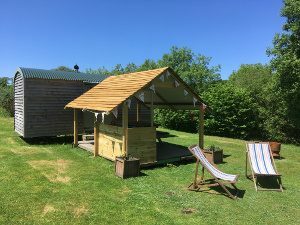 We have a choice of three 5 meter Bell Tents or a Shepherd Hut all with a cosy wood burning stove, own private toilet and wet room in a secluded and child friendly rural setting. Under the Milky Way is set a beautiful rural area, nestled in about 5 acres of gently sloping and flat fields. It is a glorious sunny spot, with the loudest sound being birdsong. At night there is no light pollution so the stars really do shine. 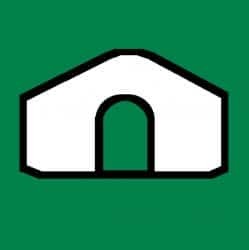 Our comfortable and secluded site is perfect for a family get together around a campfire or as an enchanting and remote setting for a couple’s retreat. 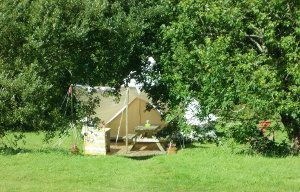 Our lovely bell tents or Shepherd Hut all come fully equipped with camping gas cooker, crockery & cutlery, pots & pans – all the bits and pieces you need kitchen-wise. 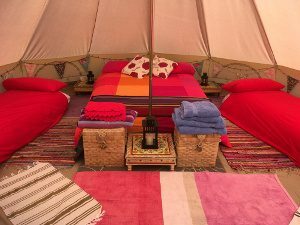 They can sleep up to four people comfortably (5 if your children are all young). 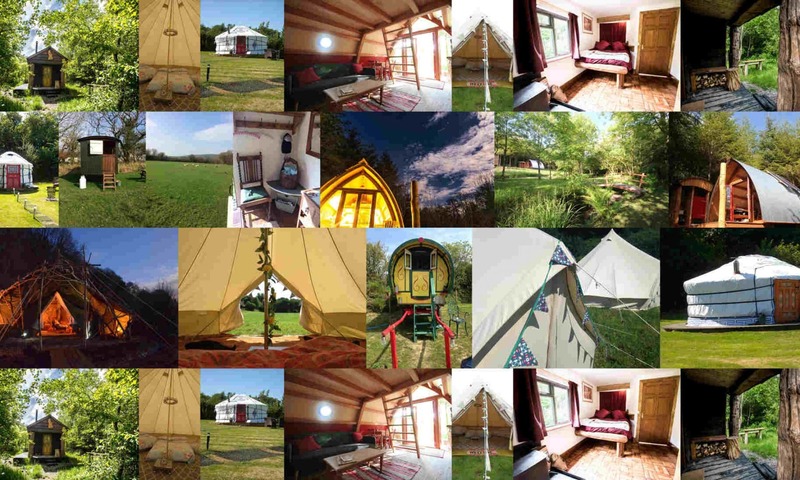 They all have a cosy wood burning stove and a covered outdoor cooking/sitting area. Each tent and the Hut has its own private toilet/wet room and there is a sheltered washing up area with a power socket and freezer. We are in a very secluded spot, surrounded by woods and fields. 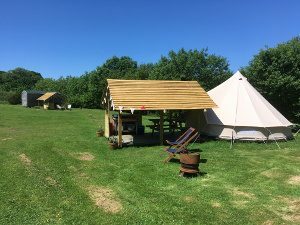 There is parking as you arrive and then a 2-3 minute walk up or down a gently sloping field to a flat area where the tents and Hut are pitched giving plenty of space between. There is ample room for ball games and fun with no cars, all in a very safe family orientated setting.